What a lovely job I have. 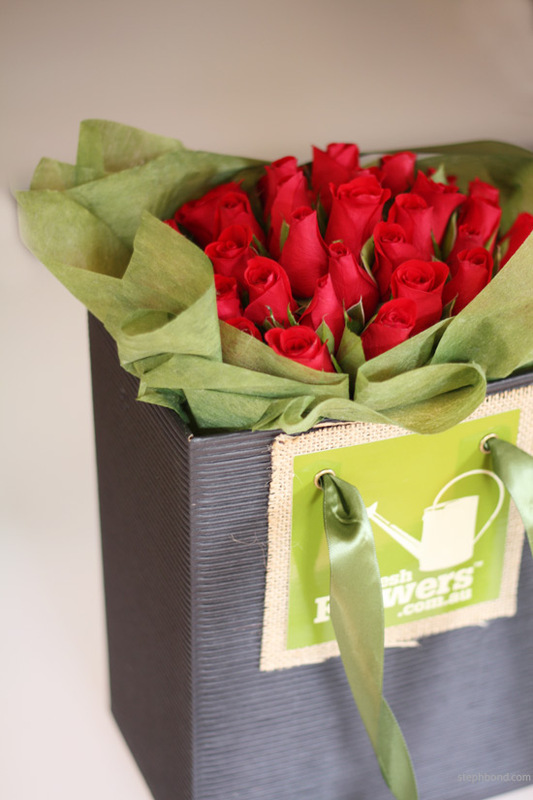 These gorgeous flowers from Bondville partner FreshFlowers.com.au arrived for me yesterday as part of their Valentines Month Of Love campaign - thirty short-stemmed red Cupids Roses! How lucky! I was really impressed with the presentation. They were beautifully packaged in a black cardboard box with green ribbon handles and hessian detail, kraft swing tags with care tips, and sealed envelope with card. Great modern logo and styling. Why not make Valentine's Day a fun day this year! Try these easy and cute free printables from Tinyme. Get the kids to help you make red velvet cupcakes, just for the fun of it. Or treat yourself to this cute gold foil heart mug that you can use all year long. I'm always happy to take an opportunity to let my loved ones know that they are special to me. Enjoy! 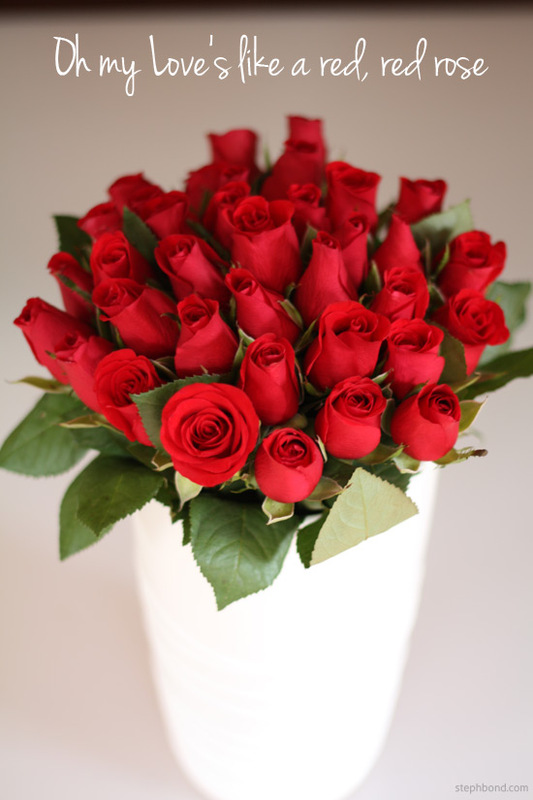 And thank you FreshFlowers.com.au for the gorgeous roses!